Did somebody actually make that for mage wars? It looks beautiful and creepy at the same time, somehow. These are pretty cool journals wonder if they would make one with the sleeve pages instead of paper? can you buy suitable "pages" somewhere? I only find 3x3 sheets for cards and they are inserted the wrong way. 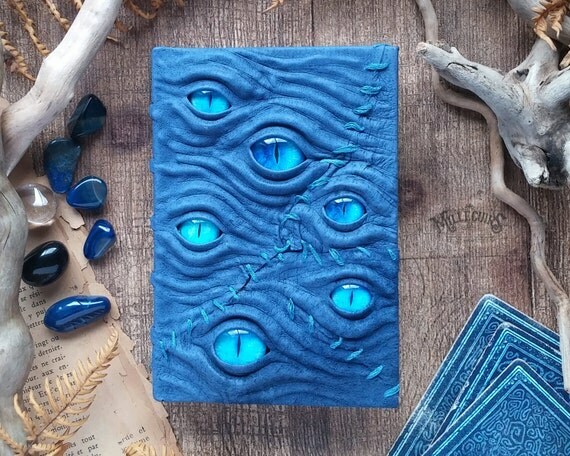 I suppose you could take a spell book, remove the cover and then glue or sew it to a custom made one. Well you can actually buy small card folders the same size as spellbooks. A friend of mine has a dragon one. So I guess you could always dissemble one of those. The magic book is revived by a white walker? It looks cool but with yellow or orange eyes it would be even cooler.